For many of us the trolling season is hitting the mid way point. Dedicated anglers across the country have been trolling various lures behind Off Shores since March, April, or May. Very few people have taken the couple of minutes to inspect their tackle to make sure everything is in great running order. Here are a few tips to make sure your next trolling trip on the water is a successful one. 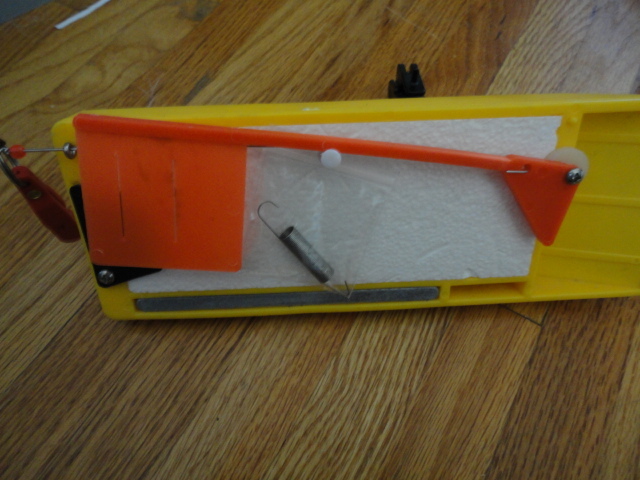 #1 If you are like me, and use the Off Shore Tackle OR12TF Tattle Flag Upgrade Kit there is a spring in each kit. 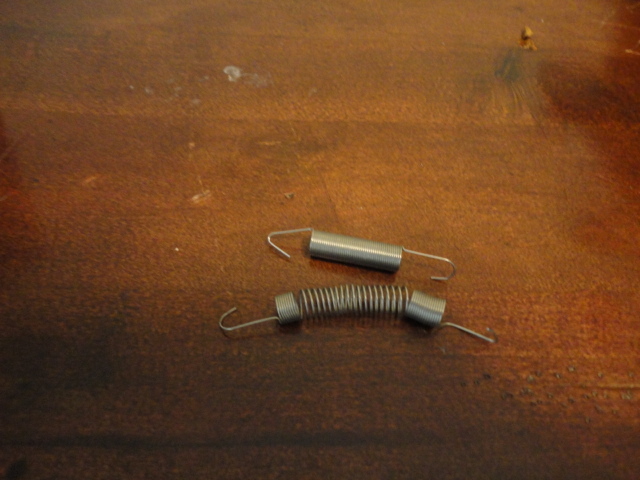 Take a moment and see what kind of shape your springs are in. The springs above are brand new. The spring picture below is one in need of replacement. Once a spring gets stretched out, as far as I know, it can not be put back into place and should be replaced. The spring below fell victim to my 7 year old who thought it was pretty neat to see what a spring looks like once it gets stretched out. Springs left on planners throughout the year also suffer a similar fate over time. Tip #2 Take your springs off you planners when not in use to make better use of them when needed. Very few of us take off the tattle spring in the off season or when they are not in use. 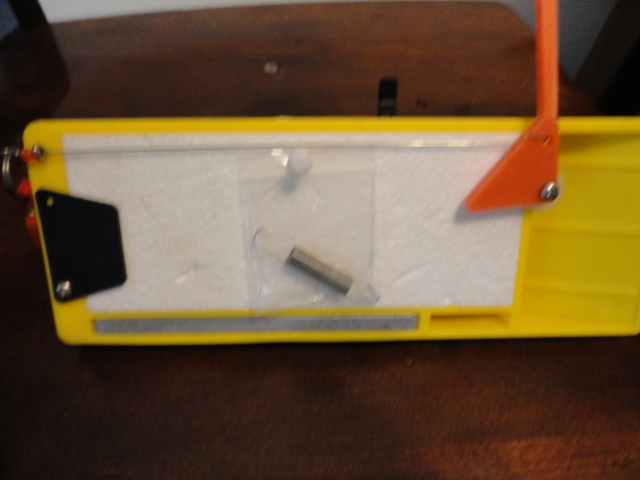 By using a thumbtack and a small plastic bag you can easily remove the spring, place it in a bag, and thumbtack it to the back of your board. This will help keep your spring from stretching out and be ready to go the next time you need it. 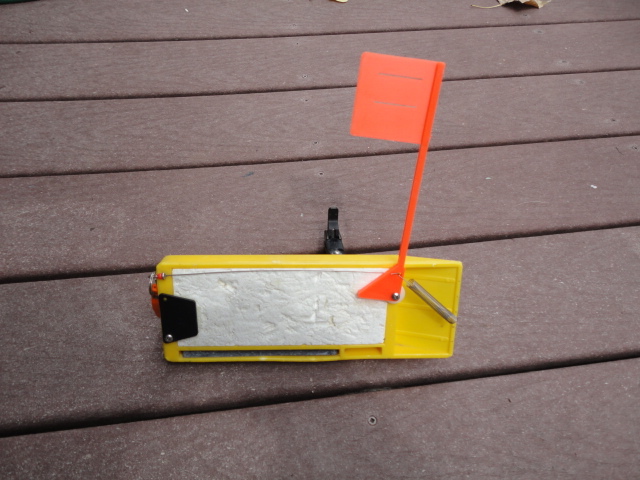 When your Off Shores are not being used, the thumb tack also helps to keep the tattle flag in place instead of moving around while sitting during the off season. If the spring was left on, and the flag was put down like shown, there would be excessive pressure on the spring and cause the spring to get stretched out prematurely. Make sure when the spring gets stretched it is because there is a big fish on the end of the line and not because the product was stored improperly during the off season.